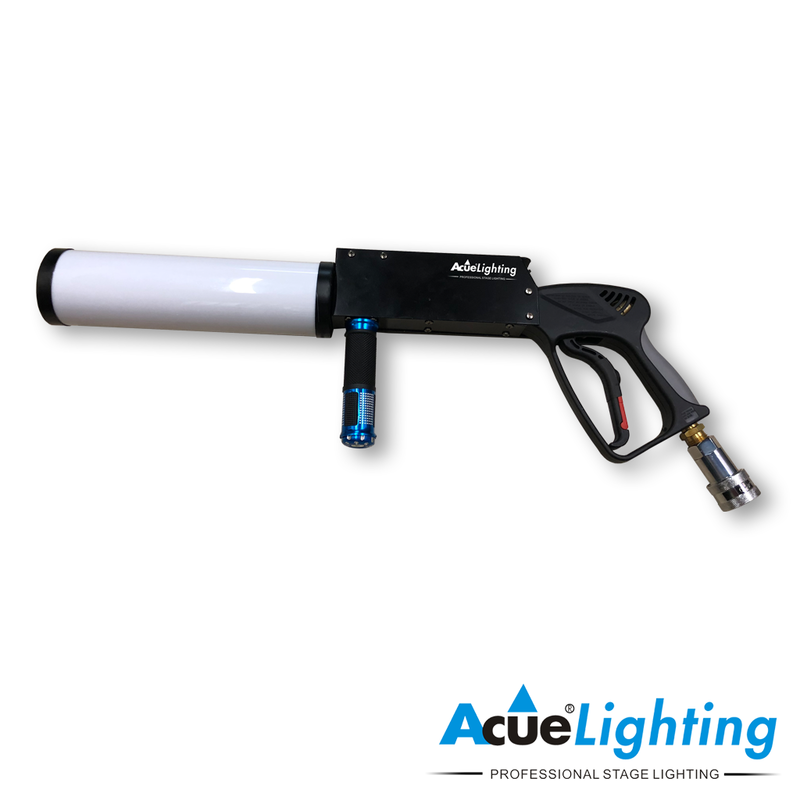 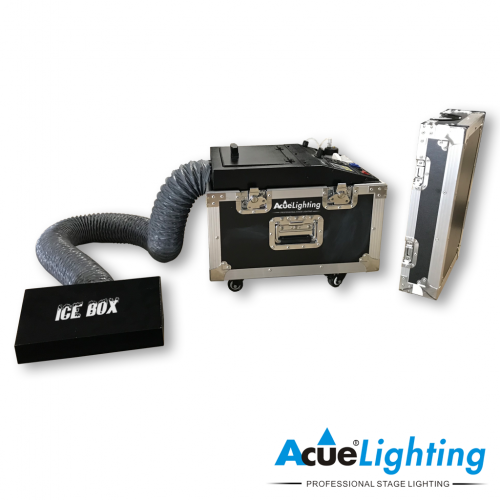 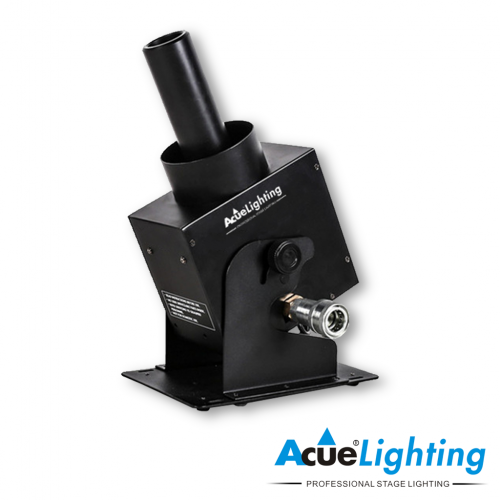 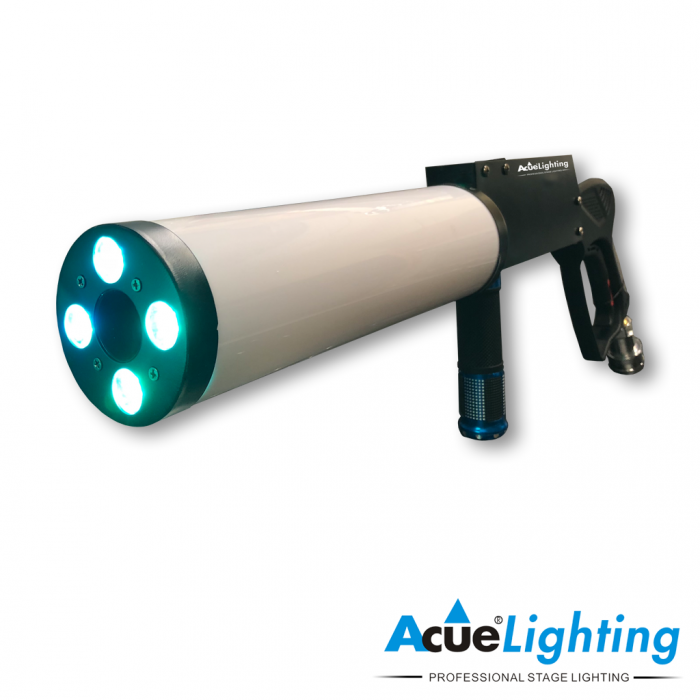 This our LED version of the Acue CO2 Cryo Canon. 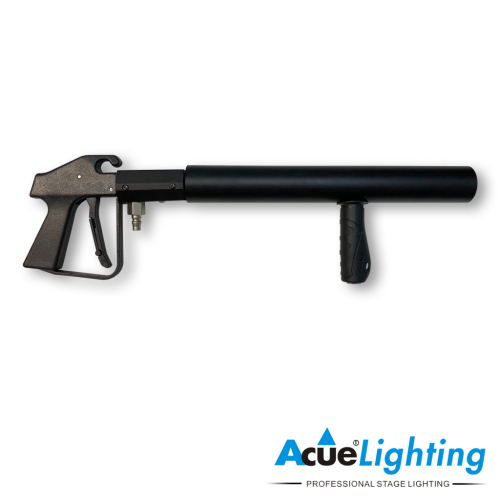 It is a handheld gun which can blast white cryogenic fog plumes. 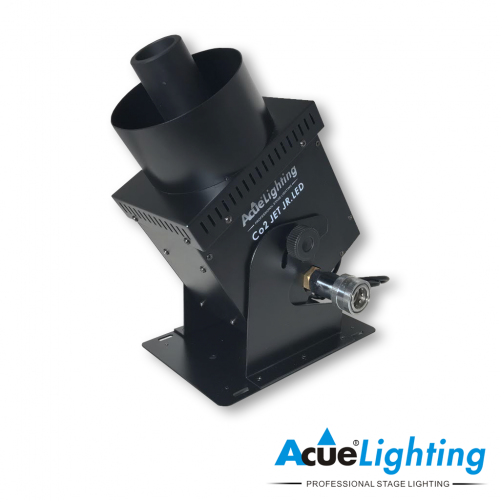 There are 4 forward facing RGB LEDs on the nozzle, as well as LEDS that light up the “barrel”. The LED Club Canon must be connected to a CO2 cylinder (liquid CO2) with a flexible high pressure CO2 hose (sold separately).